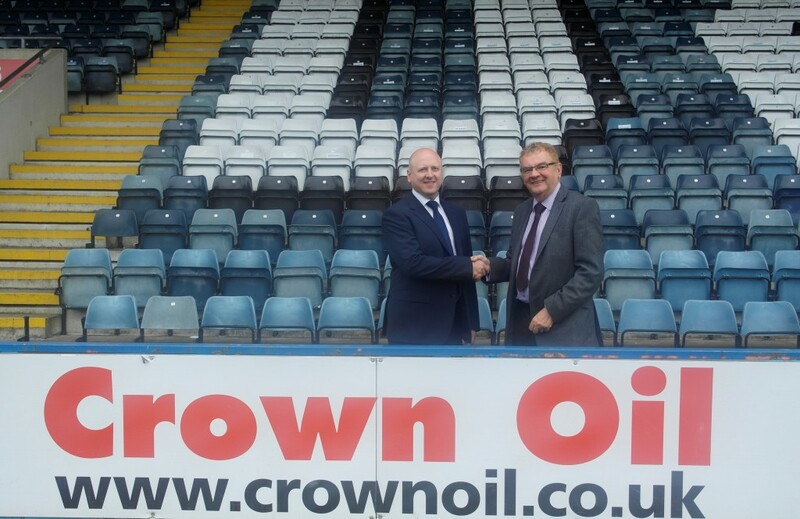 Crown Oil are very excited to announce that they have signed a record-breaking 5-year deal with Rochdale AFC. This deal means Crown Oil will continue to be the sponsor on Rochdale’s kit along while also gaining the naming rights for Spotland Stadium. In the six-figure investment deal which has become the biggest in the history of Rochdale AFC, Spotland Stadium will now be renamed the Crown Oil Arena. Dale Chairman Chris Dunphy said: “I am delighted we have been able to agree a deal with Crown Oil which incorporates front of shirt sponsorship and naming rights for the next 5 years. Today is a landmark day for Rochdale Football Club and one which at times over the past ten years I could only ever dream would happen. “Crown Oil have remained a very loyal and committed sponsor over the past 4 years and share our passion, vision and values for Rochdale Football Club. Myself and the board of directors were unanimous in our decision, which we believe will bolster our future sustainability and are extremely proud to announce them as our major commercial partner. Crown Oil Financial Director Adrian Greenhalgh said: “We are thrilled to strengthen our relationship further with Rochdale Football Club and cement this 5-year agreement. “Crown Oil is an independently owned, family run business that has been operating for over 70 years and we have shared our journey with Rochdale AFC. We are honoured and proud to occupy the front of shirt sponsorship and are excited to invest in our very first Arena. With a 10,000 capacity, the Crown Oil Arena will be the largest leisure, sporting, and entrainment venue in the borough of Rochdale. Refurbishment of the stadium has already begun, which involves new stadium signage and remodelling of the Corporate Hospitality Suite. The refurbishment work is set to be completed within the next few weeks.